I may have mentioned once or twice on this blog how much I love chocolate. So it should come as no surprise that I have chocolate on my mind as we dive into February (like that’s different from every other month—humor me). Setting that aside for the moment, though, let’s see what’s happening on the Trails of History. Winter is a slower time at many of our sites, so please be sure to check ahead before visiting. Most sites will be closed on Feb. 20 for Presidents Day, but Fort Pitt, Landis Valley Village and Farm Museum, and the Railroad Museum of PA will be open for chocolate business. Feb. 19: Lackawanna Audubon Society—member Alan Hughes explores the flora and fauna of Russia. Feb. 18: Annual Winter Lecture—Jack Giblin, of the US Army Heritage and Education Center, will discuss the history of the battlefield and surrounding area during the two centuries after the Battle of Bushy Run in 1763. Free to Bushy Run Battlefield Heritage Society members, $5 for non-members. Feb. 12: Black History Program—the Homestead will offer a special presentation in honor of Black History Month; check the website for details. Through March 29: Winter History Class—held Thursday mornings (started yesterday), this annual enrichment program explores topics related to the site history through lectures and a field trip. Call 717/733-6600 for more information. 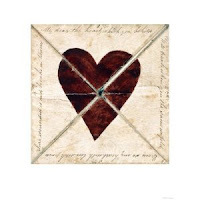 Feb. 12: Colonial Valentine - candlelit tours of the Keith House explore the loves and losses of Elizabeth Graeme Fergusson. Cost is $12 per person, includes refreshments. Call 215/343-0965 for details. Feb. 1, 8, 15, 22, 29: Homeschool Winter Classes—geared for ages 6-17 (some are for age 10-17), these Wednesday morning classes engage students with hands-on activities. Cost is $20 per class or $100 for all six (last class is March 7); 717/569-0401 x228 or c-sbrown@pa.gov for details or to register. Feb. 4, 11, 18: Folk Art and Friends Craft Classes at the Weathervane Museum Store—these Saturday afternoon classes (which continue in March) explore a variety of traditional crafts. Click here for specifics. Feb. 11: Victorian Valentine Dinner—start with champagne and chocolates in the Weathervane Museum Store, then take a horse-drawn carriage to the Landis Valley Hotel for a four-course meal accompanied by a strolling violinist. Cost is $140 per couple; call 717/581-0591 for reservations (you can check out the menu here). Feb. 17-19: Winter Institute—sign up for half-day, one-day, two-day, or three-day traditional craft classes. For details and registration info, go here. Feb. 25: Heirloom Seed Project workshops—a selection of two-hour sessions including home gardening, raising backyard chickens, fruit trees, and propagation. Call 717/569-0401 x204 for details or to register (which is required). Feb. 14: Special Valentine Dinner—enjoy champagne and a candlelit dinner served in the historic Granary; call 724/266-4500 x101 for reservations ($100 per couple). Feb. 1: Memoirs of a Vietnam Veteran—Clyde Hoch, Sergeant, US Marine Corps, recounts his experiences from enlistment to his service as a tank commander in Vietnam to his return home; part of the Friends of PMM Speakers Series. Feb. 25: Go Tell the Spartans—1978 HBO production (rated R for strong language) starring Burt Lancaster as a career Army officer serving as an advisor within the Military Assistance Command in Vietnam; based on the 1967 novel Incident at Muc Wa by Daniel Ford. Donation requested; part of the Cabin Fever Film Series. Feb. 12: “Art is an entrée, not a dessert”—opening reception for a juried group exhibition presented by the Susquehanna Art Museum in the DOSHI Gallery at the State Museum; exhibit runs through July 15. Feb. 18: National Geographic Giant Map of North America—visitors will be able to walk from the Aleutians to the Florida Keys in mere minutes (seconds?) on this 26’ by 35’ map. Presented in partnership with the Pennsylvania Alliance for Geographic Education, the exhibit (through March 15) will also feature large-scale repros of historic Pennsylvania maps from the State Archives. There will be a free preview on Friday evening, Feb. 17, as part of this month’s 3rd in the Burg. Feb. 18: Washington’s Birthday Celebration—visit the website or Facebook for more information. Continuing our look at educational opportunities, this week's guest blogger is Joe Lauver of the PHMC's Division of Architecture and Preservation. The hiring period for these apprenticeships ends April 30, so don't wait. Become part of a large and growing sector of the construction industry preserving Pennsylvania’s treasured historic buildings. 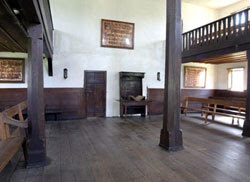 PHMC is sponsoring its 7th annual summer apprenticeship program to introduce students and recent graduates of post-secondary trade schools, technical colleges and other training programs, and others with building trades experience to the preservation and traditional building trades needed to preserve Pennsylvania’s historic places. PHMC and several partner organizations and companies will be offering paid apprentice positions for 12 weeks in the summer of 2012 at locations throughout Pennsylvania. The apprenticeships will include a free training program with an introductory one-day seminar in historic preservation and two days of hands-on training by master craftsmen in various preservation and traditional trade skills. More information on the program, including a list of apprenticeship locations, can be found here. Just a quick note that the Knox Mine Disaster program at the Anthracite Heritage Museum this Saturday afternoon will include a screening of the trailer for a new feature-length documentary film, “The Knox Mine Disaster: The End of Anthracite.” For more info on the film, go here. I know I’m preaching to the choir on this. I don’t have to tell Trailheads readers that the sites on the Pennsylvania Trails of History provide rich learning opportunities and experiences year-round. Visitors to our sites enjoy tours (on their own or with a guide), programs, workshops, festivals, etc. while spending time with family and friends (or making new friends). But this week I’d like to focus on several opportunities for educational development that may be of interest. 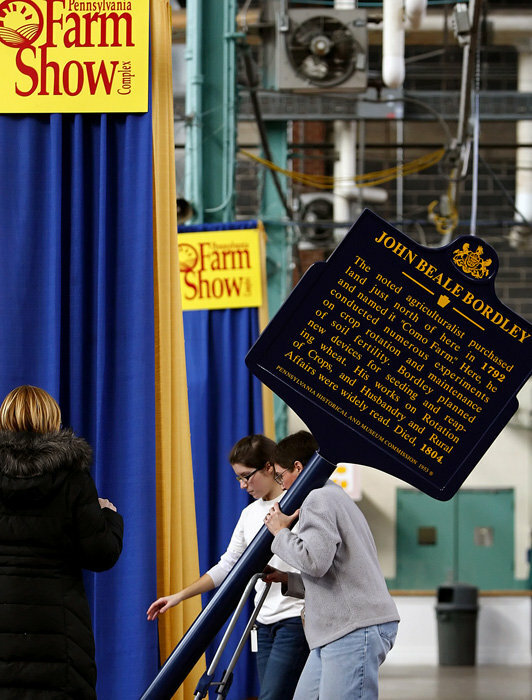 The past couple of posts (here and here) have included the Historical Marker Scavenger Hunt developed by PHMC staff for use at the Pennsylvania Farm Show. For those of you who didn’t make it to Harrisburg for the show (it closes tomorrow, so there’s still time), the scavenger hunt booklet is now available online, along with photos of the actual markers. The booklet was developed to engage children and their families in exploring Pennsylvania’s agricultural and food industry heritage. (It is related to PHMC’s 2012 theme, “The Land of Penn and Plenty: Bringing History to the Table,” which will roll out slowly over the next couple of months with the big kickoff scheduled for March.) It’s a fun way to learn some history, not to mention Pennsylvania geography, if you also locate the markers on a map. Although the deadline is only one week away (January 20), it isn’t too late for undergraduate and graduate students to apply for the Keystone Summer Internship Program. Applicants for these unpaid internships can designate their preferred locations (field sites, the State Museum, or the State Archives) and indicate their areas of interest. Interviews will be scheduled in late winter and early spring with selections made in March. Interns are expected to be in place from May through August, with specific schedules worked out with their intern mentor. To read about the experiences of interns in previous years, go here, here, or here. The Office of Commonwealth Libraries and PHMC have announced the new Pennypacker Fellowship Program for 2012-13. For those of you who remember PHMC’s Scholars in Residence program, this will function very similarly. The fellowship program will support research on Pennsylvania history that makes significant (though not necessarily exclusive) use of the State Library or a PHMC facility. The application deadline is January 30; notification of awards will be in March. Residencies (up to 8 weeks long with a stipend of $400 per week) can begin May 1, 2012, and must be completed by April 30, 2013. Up to six residencies will be awarded each program year. For more information, go here. Welcome to 2012, Trailheads. 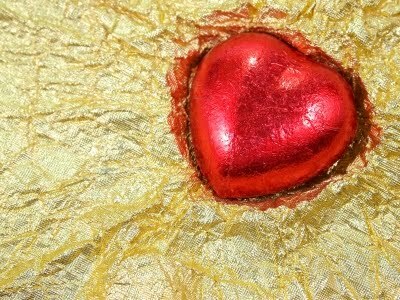 I hope you had a lovely wrap-up to 2011 and are ready to charge ahead. Winter tends to be a bit quieter on the Trails of History. Some sites are closed this month and next; some others are running on a reduced schedule. It’s always best to check ahead if you’re planning a visit. Most sites will be closed on Jan. 16 for the Martin Luther King holiday, but Fort Pitt, Landis Valley Village & Farm Museum, and the Railroad Museum of Pennsylvania will be open. PHMC will be at the Pennsylvania Farm Show in Harrisburg (starts tomorrow and runs through Jan. 14) with a presence inside the Main Hall and outside in the parking lot. The Bureau for Historic Preservation has developed a Historical Marker Scavenger Hunt (see last week’s post and a photo of staff getting set up here), and the Civil War Road Show will be onsite: Sat., Jan. 7, from 10 am to 6 pm; Sun, Jan. 8, from 11 am to 6 pm; Mon.-Fri., Jan. 9-13, 10 am to 5 pm; and Sat., Jan. 14, 11 am to 5 pm. (Go here for more details.) Admission to the Road Show is free, although the Farm Show charges $10 for parking. Jan. 15: the annual membership meeting of the Lackawanna Audubon Society will take place at the museum. Jan. 21: Knox Mine Disaster Program—this annual program examines the events of Jan. 22, 1959, when the Susquehanna River broke through the roof of the Knox Mine at Port Griffith, Luzerne County, flooding it with icy water and killing twelve men. Jan. 28: Annual Historic Weapons Show—held in cooperation with the Old Westmoreland Rifles and the Collectors Show Association. Jan. 8: Fireside Tales—young children (ages 4-8) and their families are invited to spend a couple of hours in the Wayside Lodge for some good old-fashioned storytelling. There will be a fire and some light refreshments to help warm you, but dress for the weather and bring an extra blanket or two. Suggested donation. Jan. 15: Hell or High Water Shoot—reenactors from the First Pennsylvania Regiment will hold their annual winter flintlock shoot using reproduction 18th-century guns. Jan. 26: Winter History Class—this program, which continues on Thursdays through the end of March, provides an in-depth look at the fascinating history of the site, the people who lived there, and the people who’ve studied them; for more information, call 717/733-6600. Jan. 1-15: the Museum will be closed for exhibit maintenance and upgrades; reopens on Jan. 16. Jan. 14: “You Enter Germany – Bloody Huertgen and the Siegried Line”—this 2007 German documentary chronicles the longest battle (involving American troops) in history using archival footage and interviews with veterans. Donation requested. Jan. 28: “When Trumpets Fade”—a 1998 HBO film loosely based on combat action of the 112th Infantry, PA National Guard, along the Siegfried Line. This is a great opportunity to see how well the movie (which is rated R for strong language) adheres to the history. Donation requested. Jan. 15: “The Principles of Peace: Remembering King”—program presented by Nathaniel Gadsden’s Writers Wordshop. Museum admission (and program) free on this day. Jan. 20: Book signing and 3rd in the Burg—former PA legislator Franklin Kury will be in the State Museum Store to sign copies of “Clean Politics, Clean Streams: A Legislative Autobiography and Reflections.” The program and a reception are sponsored by the Pennsylvania Heritage Society.